Surfing the internet can be a pleasure and entertaining, but it could be unsafe if a dreadful infection like ransomware, Trojan or any other form of malware enters into your computer if you have clicked a malicious URL or a wrong website. These days, the internet is certainly not a secure place to keep your personal information logged in 24×7. Unidentified hackers somehow using various online techniques, leave a malicious program into your computer to impact the operating system’s performance to a large extent. One such unwanted program that should never exist in your computer is .tro Ransomware designed to encrypt data and files. We can see that it locks down files, data, online information, etc. in a computer without user’s permission. If your documents, music, photos, web pages, etc. avoid opening in normal mode due to a .tro file extension added at the end of their file names, then your machine is infected by the .Tro ransomware virus. Once it is opened and launched, it locks all the saved files on a computer, stops drives from functioning usually and blocks the network drives. It is malicious software that hijacks your system by locking files and other software in use. .Tro ransomware is a file-encrypting malware that usually sneaks into the system via malicious email and process data encryption. Like all other ransomware, it also converts photographs, music records, business reports, pdf, docs, and all other data by using encryption techniques like AES/RSA. To make its presences felt on the computer, it locks any file; the ransomware always adds the .tro extension. For example, filename.jpg encrypts and changes to filename.jpg.tro. Usually, it spreads after the hacker operates out of the remote network computers and desktop services. It should also be mentioned here that this dangerous ransomware encrypts mapped network drives, unmapped networks, host drives, and shared virtual machines. By clicking on any locked file, a ransom note named _openme.txt opens. Like most ransom note, the message tells users to pay ransom in bitcoins to get back the access to all the encrypted files. Finally, once the ransomware hacker receives the payment in the note claims to release your system unharmed. However, reports by cybersecurity expert claim this message from .tro ransomware authors is incorrect. Like other ransomware, in .tro ransomware case, once the payment is made, the cyber invaders demand more money rather than exiting the system. We suggest you to avoid making any amount and must find a way to delete .tro ransomware files. Also See: How To Remove Cydoor Spyware From PC? Are There any Decryptors For .tro Ransomware? The answer to this is a straight No, and it is nearly almost impossible to recover all the locked files as the encryption algorithm is robust and runs on private keys of malicious programmers. Consequently, as of now, it is quite notable that forging out any decryption key and tool is not realistic. Besides, to make any decryption tool, it is essential to reverse engineer the program code of ransomware’s encryption mechanism. Unluckily, more time is required to break down the encryption mechanism. Consequently, cybersecurity specialists have no help for its victims in removing ransomware from the computer. As per security specialists, currently .tro ransomware decryptor tool is not present and is yet to be developed. I believe that there are any keys which exist on the first hand, it would be with the developers of .tro ransomware. As there is no decryption tool presently to recover your files, we recommend taking some preventive measures. This malware locks files of games, ppt, pdf, docs,xlx, and other data. It profoundly affects your web browsing experience and shows irrelevant search results. Keeps a record of your IP address, browser history, and activities, passwords, bank account details, etc. in your system. Ways this ransomware can ride in your computer? Investigation shows that .tro files virus makes your computer susceptible to remote attacks and use the following techniques to inject ransomware into your computer. It also possesses some properties related to Crypto mix ransomware responsible for increasing botnets. These methods let the invaders behind the ransomware obscure the contents of the computer such that users couldn’t recognize it nor could use it. We never advise victims of the .tro Ransomware to agree and cooperate with the criminals when they demand money. We suggest you get rid of this ransomware ASAP, as it doesn’t hold any value to your browsing experience but only hinder it further, the malicious activities by this ransomware brings in more than reasonable,if it is allowed to stay more time than required as this makes the computer more vulnerable with other malicious programs. To be successful while removing this malware, we recommend you to download and install the best antivirus called Malware Crusher. 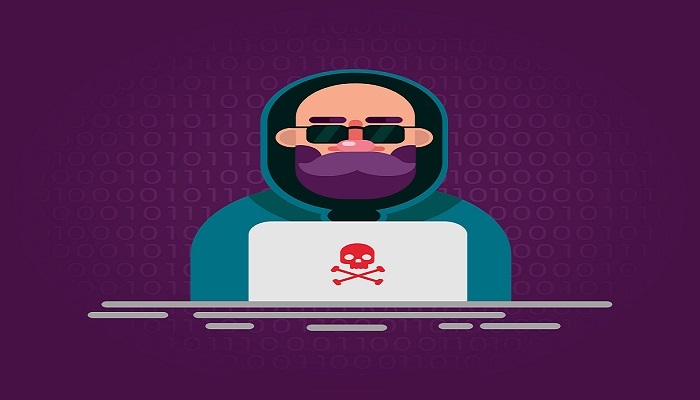 Once plan of action of this hijacker is the determined diagnosed, and the foreseen danger or risks are normalized by creating antimalware code. So it is essential to put the computer on real-time tracking with this antimalware tool which takes action to clean most of the issues like malware or threats. Malware Crusher has the ability to scans, detects and helps to remove all common digital attacks from your computer and makes all infected windows resources with a secure and safer variable. Post this application is downloaded and installed on your computer, there are no additional steps needed for antivirus and antimalware application. The most effective solution for the safety and security of Installing Malware Crusher on your PC in the present situation is the best option for the betterment of the computer’s health. Our best tool which is called Malware Crusher makes sure that your computer has the latest updated and refined versions of the software with critical and emergency updates. Next Post:What is Dirty Tinder? Is Dirty Tinder a Malware?